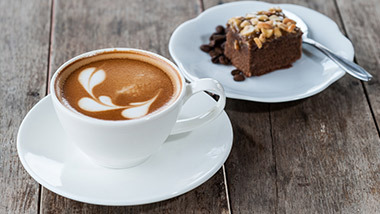 Relax and enjoy an Illy coffee and a delicious slice of cake with friends at any of our Squire’s Café Bars. We have a fresh selection of cake every day for you to choose from. Our Coffee & Cake offer is available from 2:30pm daily. 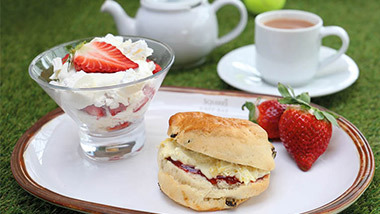 Served with an Eton Mess, plus a scone, jam,clotted cream and a refreshing pot of loose leaf tea. 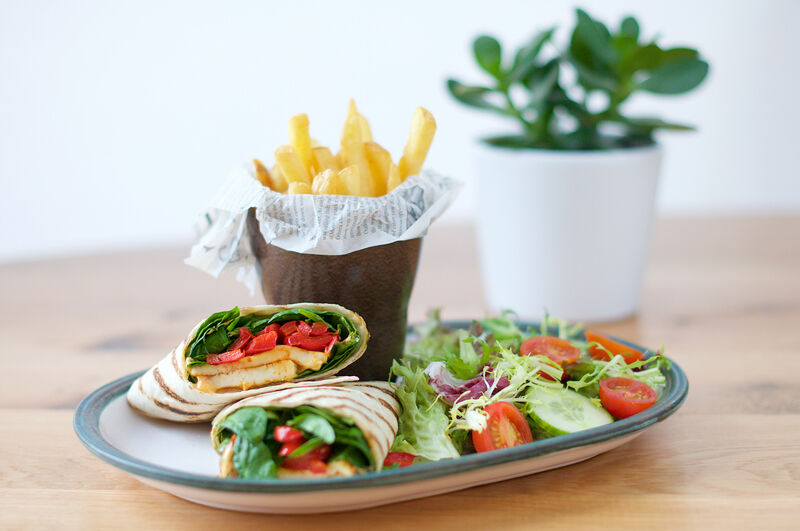 All for only £7.95 per person. Available daily, no booking required. Gluten free option available. 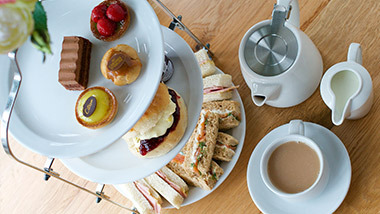 Indulge with friends with a tasty Loose Leaf Cream Tea. English Breakfast, Chine Sencha Green Tea, Lapsang Souchong Osprey, Early Grey, Camomile Flowers, Blue Lady, Rooibos (caffeine free) and Strawberry and Kiwi Tisane. 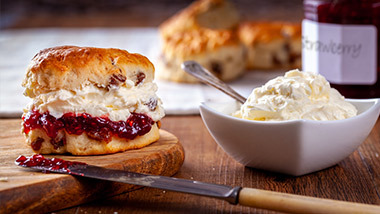 The tea is served with plain or fruit scones, Devon clotted cream and a choice of jam. Our afternoon tea comes with a pot of loose leaf tea, sandwich with your choice of filling, scone with Devon clotted cream and a selection of petit fours. Please complete a booking form and pop in to your local centre to book. Advanced booking is essential – minimum of 24 hours. Our Afternoon Tea with that added extra sparkle, the Champagne Afternoon Tea includes a 1/4 bottle of Laurent-Perrier Champagne. 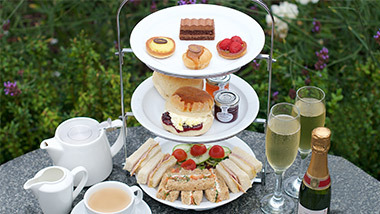 Champagne Afternoon Tea is available at all centres except Chertsey. Advanced booking essential.